Technology stocks are trading at sensible prices, according to Janus Henderson’s Richard Clode – who thinks there are plenty of value opportunities in the space. 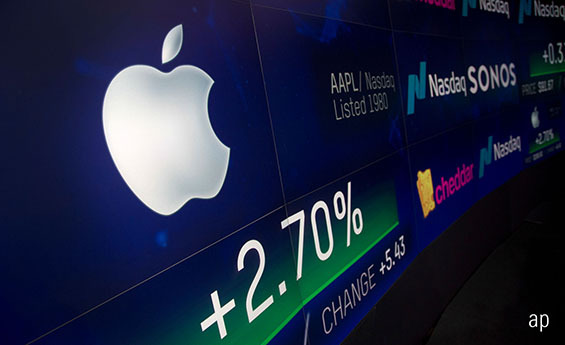 The bull market in US stocks over the past decade has been led by the FAANGs – Facebook (FB), Apple (AAPL), Amazon (AMZN), Netflix (NFLX) and Google owner Alphabet (GOOGL). Helped by synchronised global growth and tax reforms, the US saw cracking equity returns across the board in 2017. Pretty much every sector ended the year in the green. Last year started in a similar fashion, but troubles soon started to show. “That broad-based performance that we saw in 2017… started to narrow and narrow and narrow,” notes Clode, manager of the £5.4 billion Janus Henderson Global Technology strategy. “China tightened and started slowing, which got exacerbated by US-China trade tensions; we had Cambridge Analytica and regulatory concerns; the iPhone X was terrible and we had overhang from that. “We started seeing more and more investors not wanting to own anything that’s exposed to trade or exposed to China or anything that’s got some regulatory risk," he continued. Then, as September came around and US Treasury yields started to climb once again, investors started to question whether these types of firms were the right place to be in a normalised rate environment. Clode’s fund, he says, does not own those names: “We’re a valuation-disciplined fund and valuations were nuts.” Netflix was a big name the fund does not hold, though it does have some expensive stocks like Amazon and Salesforce.com (CRM), “because we can get our heads around the valuations from a free cash flow point of view”. And there is a plethora of cheap tech names out there – some of which will be extremely familiar to readers. “In a lot of tech now, you don’t have to overpay for those opportunities. Valuations have come down a long way,” Clode says. Balance sheets in the tech sector also look extremely healthy, something we’ve heard analysts at JPMorgan say will be important in this new market environment. “Tech overall is the only net cash balance sheet sector,” says Clode. At the end of last year, Clode went bargain hunting and snapped up some “quality names with fantastic franchises with really strong balance sheets that had just had a 25% de-rating of the stock”. European name ASML (ASML) had been much more expensive than its US peers, mainly due to the dearth of European tech names. However, it came back 30% later in the year to what looked a more reasonable valuation, giving the opportunity to buy. Looking to the year ahead, Clode says one of two things need to happen for equity markets to start looking up again. A more dovish Fed, which looks to be materialising, would make investors more comfortable buying growth again. Meanwhile, an end to the US-China trade skirmish could signal a return to investors buying cyclicals.